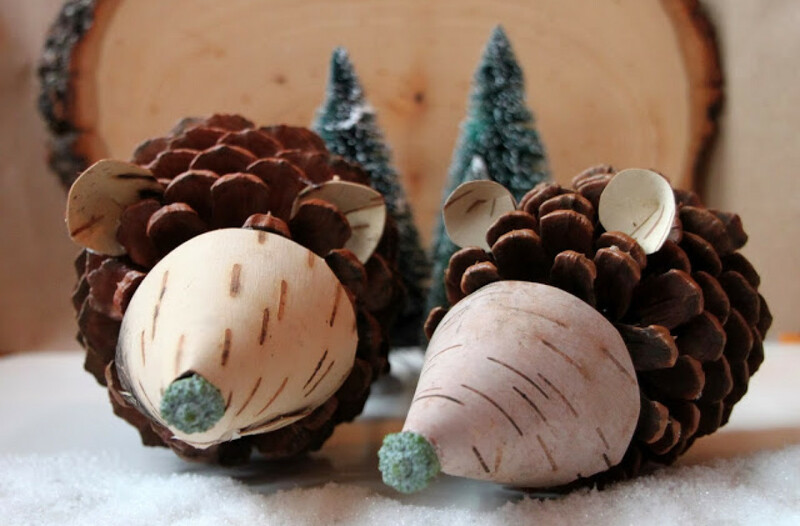 I’ve been busy as a bee here at Tilly’s Nest working on some nature-inspired holiday crafts for HGTV Gardens. I’ve been working with HGTV for well over a year now and I must say that these three holiday crafts are some of my all time favorites. The woodland pinecone hedgehogs came to life after I took another look at a few pinecones laying on my mantle. Suddenly I envisioned them with snouts, ears, and sweet little noses!